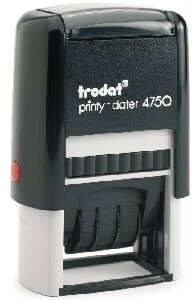 The Printy Self-Inking Daters work and feel as great as they look. 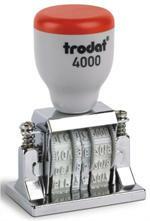 Simply attach your rubber or photopolymer stamp dies around the date band set on the self-adhesive die plate. 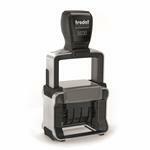 Adjust the date/number set height to perfectly align with your dies using the adjusting screws. In addition to the standard ink colors, some stamps are availabie with 2-color pads - red in the center for the date and blue outside. 2-color pads can be ordered uninked for your custom inking to customer's specifications.